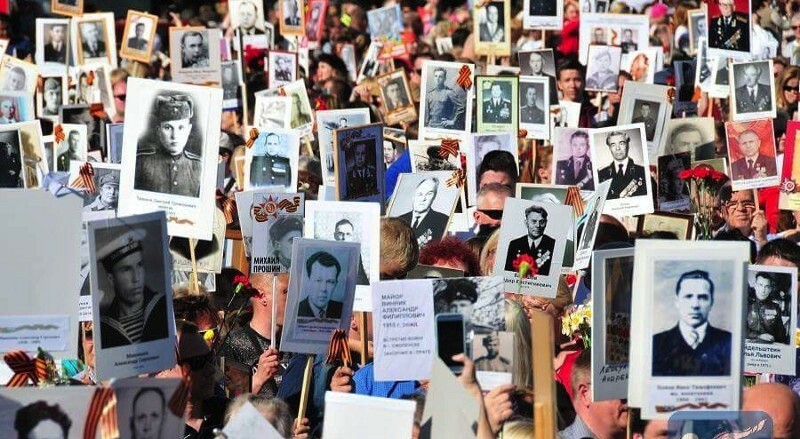 An ‘Immortal Regiment’ march celebrating Victory Day in Riga, Latvia. The antagonism between Latvia, Estonia and(to a lesser degree) Lithuania with Moscow stems partly from from the cessation of the USSR itself. The conclusion of the Cold War resulted in more than 25 million Russians instantly discovering themselves living abroad in foreign countries. For seventy years, fifteen nations had been fully integrated while Russians migrated and lived within the other republics. The Soviet collapse immediately reignited national conflicts, from the Caucasus to the Baltics. 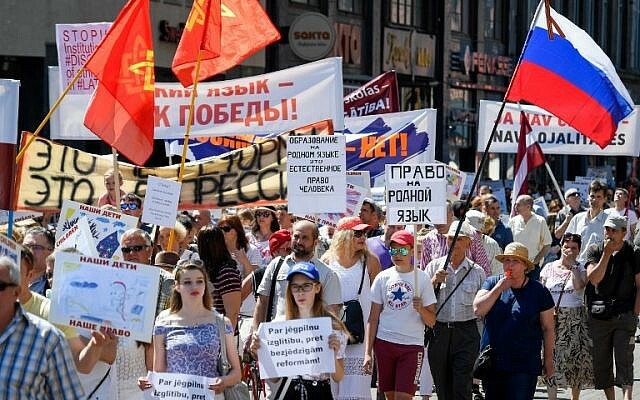 While the majority of the ethnic Russian diaspora live in Ukraine and Kazakhstan, nearly 1 million reside in the post-Soviet Baltics and since 1991 they have been subjected to a campaign of forced assimilation, discrimination and exclusion. It should be made clear that what ethnic Russians experience in the Baltics has its own particularities that make it significantly different from the institutionalized racism and violently enforced segregation that existed in South Africa (or what many believe is applicable to the Palestinians under Israeli occupation). The word apartheid itself originates from the Afrikaans word for ‘separateness’ (or apart-hood), but an exact comparison is not the real issue. There are many overlapping characteristics that make an analogy arguable. For instance, the use of an ID system denoting ethnicity and alien status with the inability of Russians to participate in the democratic process or politics. Their reduced standing contributes to a society where ethnic groups often do not intermingle and are concentrated in particular areas with Russians mostly residing in urban cities. Yet even Israel recognizes Arabic as a second official language, while none of three Baltic states do so for Russian. When referendums have been held on whether to adopt Russian as a second language, the non-citizen communities are excluded from voting, ensuring its inability to pass. Since the restoration of capitalism in Eastern Europe, the Baltic states have waged a campaign of diminishing and obscuring the Holocaust into a ‘double genocide’ of equal proportions , conflating the Nazis and the Soviets as twin evils. Western ‘democracies’ have helped obfuscate the truth about the widely misunderstood Molotov-Ribbentrop pact, the treaty of non-belligerence between Germany and the USSR. The 1939 non-aggression pact has been painted as a ‘secret alliance’ between the Nazis and the Soviets, disregarding that France and Great Britain had done the same with the Germans the previous year with the Munich Agreement. Only the Soviets are said to have ‘conspired’ with Hitler, just as when the West fought the Germans it was for ‘liberal values’ but when the USSR did so it was for competing ‘dominion’ over Europe. In order to mask their own fascist sympathies, the West has falsified the historical reasons for the accord. In reality, there were measures incorporating the Baltic states into the USSR as part of a mutual defense and assistance against German imperialism and their ‘master plan’ for the East.